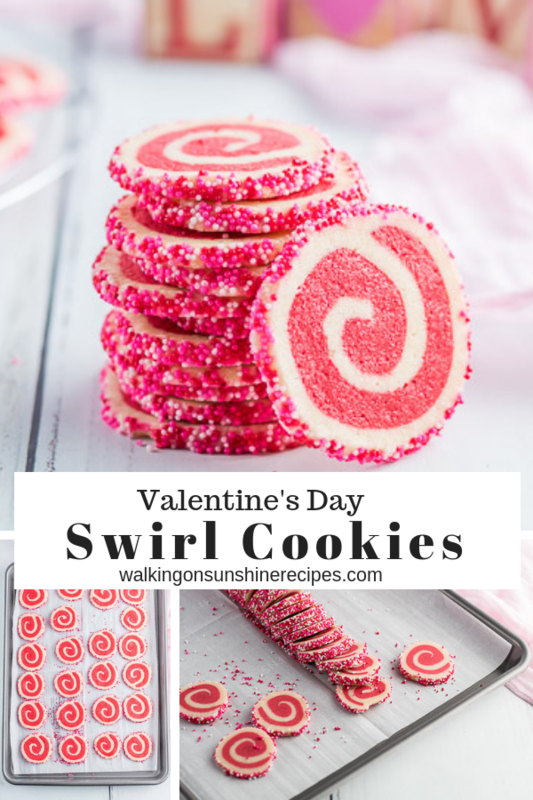 Valentine’s Day Swirl Cookies are a pretty pinwheel cookie with colorful sprinkles on the outside that will bring a smile to anyone you serve these to. Perfect for school parties or to give as gifts to neighbors who may not have a special “valentine” in their lives anymore. A few years ago I shared a recipe for Colorful Swirl Cookies or Easy Slice and Bake Cookies at Christmas time. 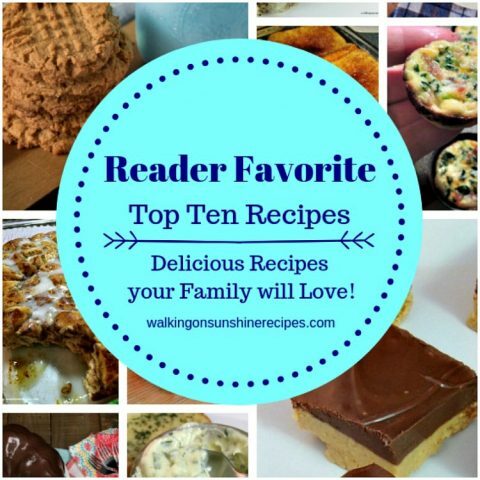 Even with the not-so-good photos, they’re still a pretty popular recipe on the blog that really needed to be updated. 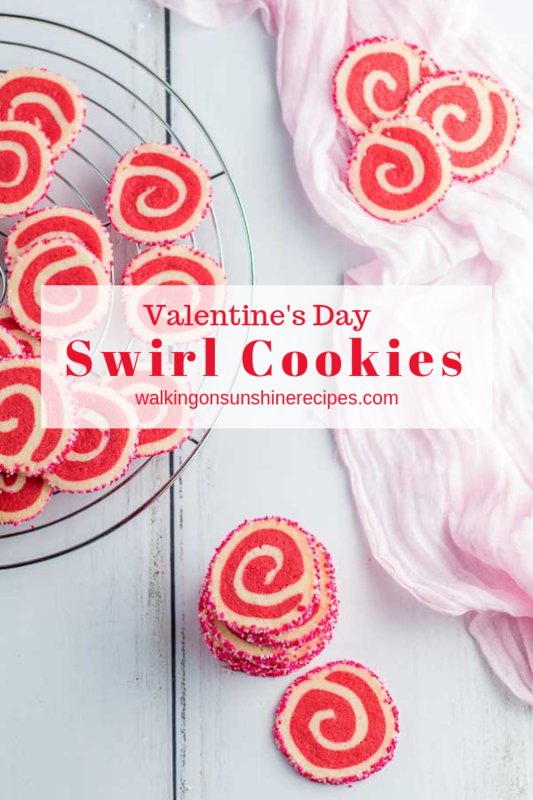 I didn’t have time to do the update for Christmas, so I changed the recipe a bit and am sharing with you these beautiful Valentine’s Day Swirl Cookies today. I thought with Valentine’s Day coming up in a few weeks I would update a popular Christmas cookie post but use different colors and make them more appropriate for Valentine’s Day next month. 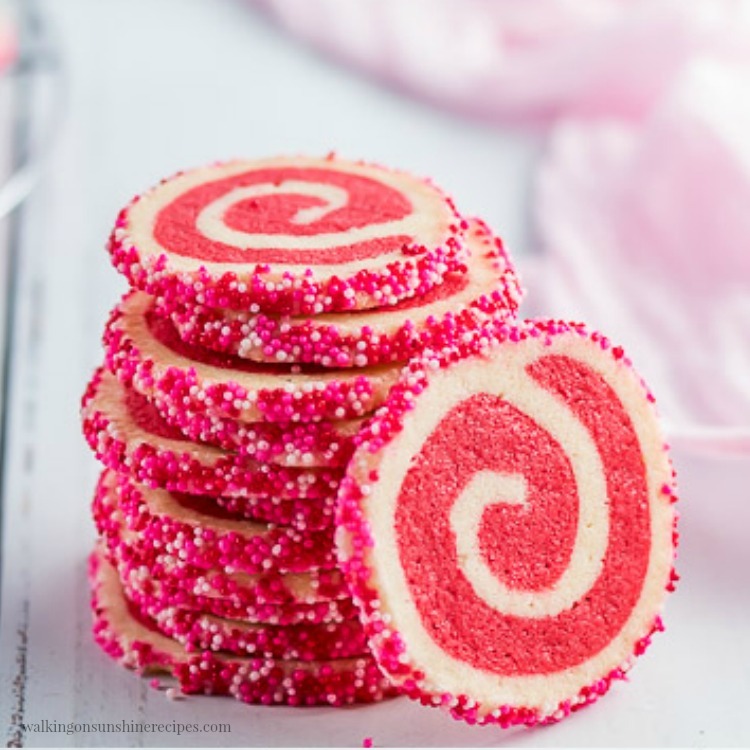 That’s right, I made Valentine’s Day Swirl Cookies aka red pinwheel swirl cookies. Don’t be fooled into thinking this is a difficult cookie to make…it’s not! 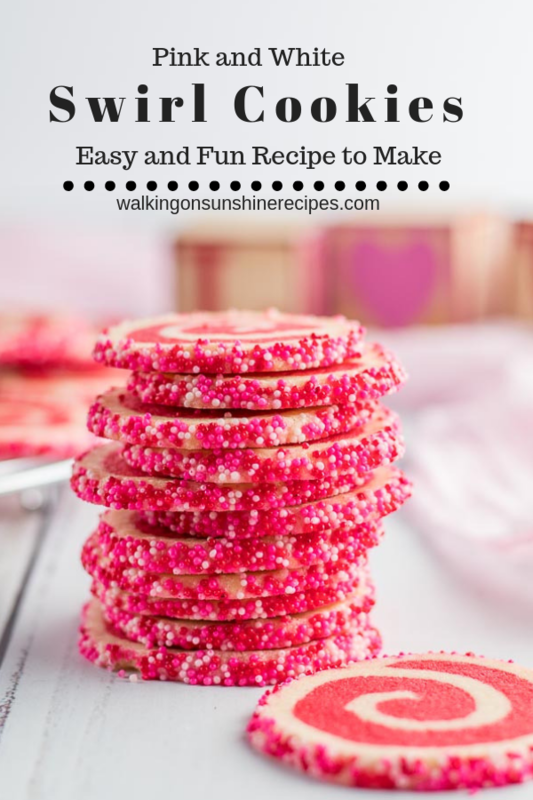 Once you see how easy it is, you’ll be making these cookies for many different occasions. All you need to do is change the color to go along with your special occasion. If you see the dough is too “wet” from the food coloring, add another tablespoon of the flour. 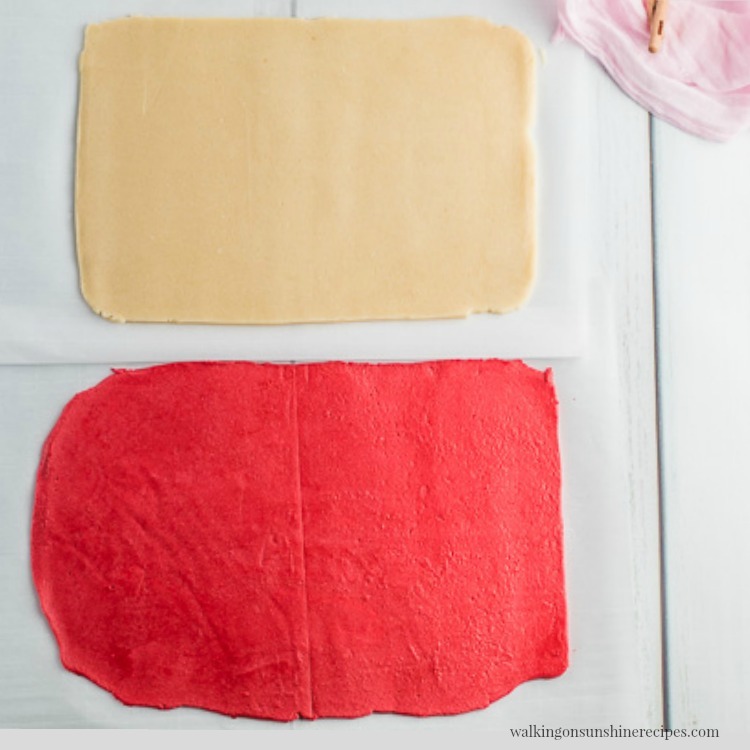 After you have both colored layers of dough on top of each other, trim them to make sure they’re both the same size. 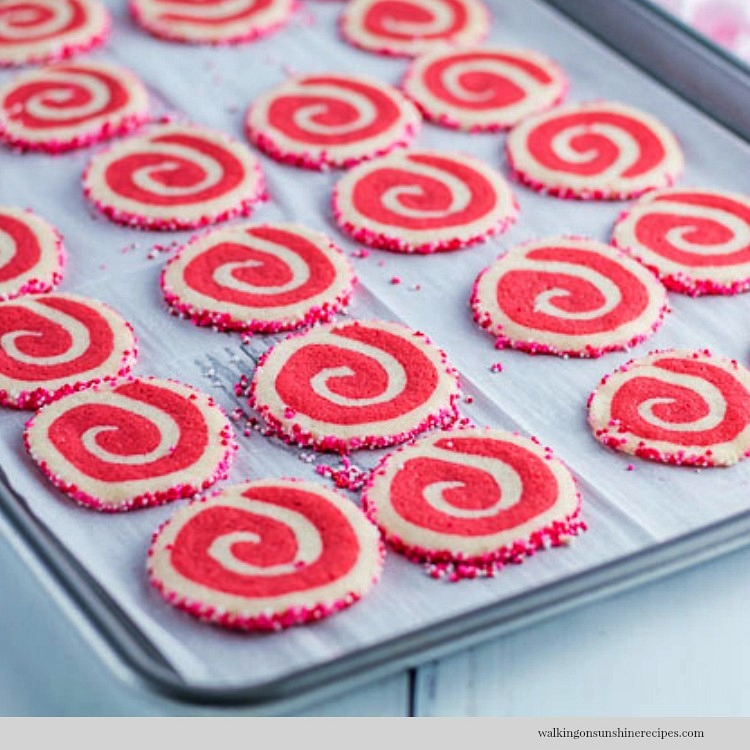 Otherwise the spiral look of the cookies will be off. You can save the excess dough to make extra cookies. Once you have the dough rolled out, make sure it is chilled before even trying to roll the two layers together. You can easily change the food coloring and sprinkles for any occasion you’re celebrating. Swap out the vanilla extract for mint or almond extract. 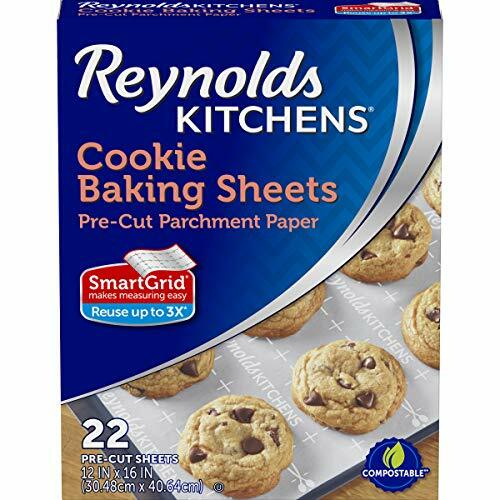 Parchment Paper Baking Sheets – these are my absolute favorite! 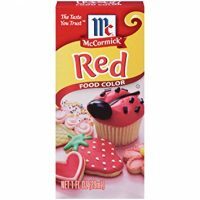 Red Food Coloring – OR Red Food Gel – I’ve never tried the gel for this recipe, but I’m sure it works great. 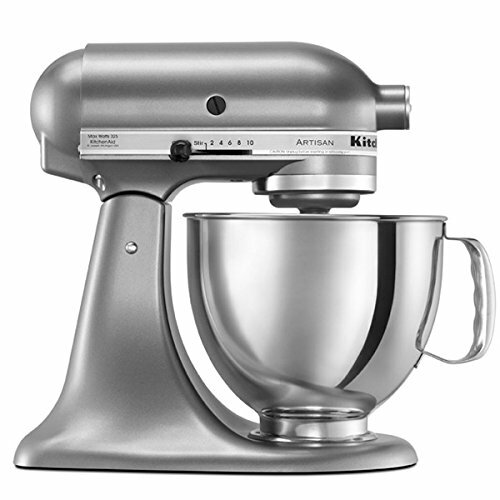 In the bowl of a stand mixer, combine flour, baking powder, salt, and sugars with paddle on medium until well blended. Slowly add the butter, gradually, and continue mixing. Add the vanilla extract. Continue mixing until the dough forms a ball. Remove all your dough and divide into two equal parts. 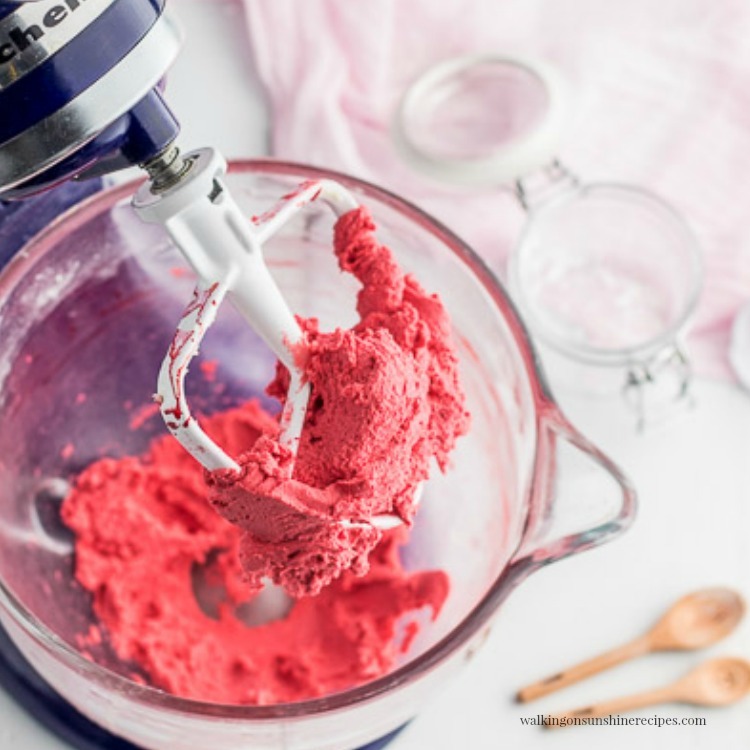 Return one portion back in to the mixer and add the red food coloring. 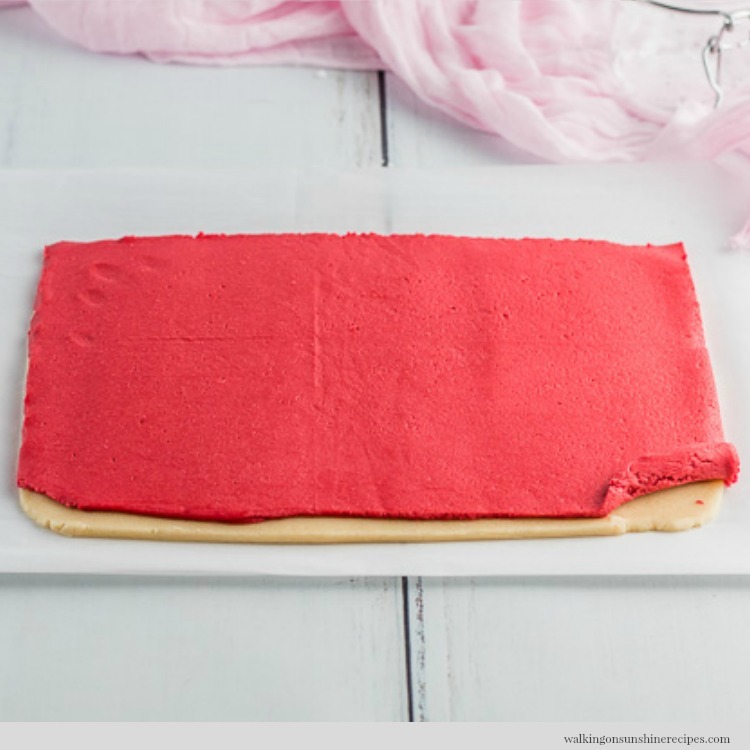 Mix until the color is spread out evenly and the dough is completely red. Roll out each portion of the dough, between two sheets a wax paper until it reaches about 11 x 9 inches and is 1/4 inch thick. Slide both unto a cookie sheet and chill in the refrigerator for at least one hour. When firm, remove the top sheets of wax paper from both. When firm, remove the top sheets of wax paper from both. Brush the uncolored vanilla dough lightly with water using a pastry brush. Then flip the colored dough onto the vanilla uncolored dough so they are stacked atop each other and even. Press the edges lightly with your fingertips to seal them together. Using a small knife, trim the edges of the dough to make straight, even lines. Be sure your dough is still cold, but flexible, if needed, place the baking tray back in the refrigerator to chill the dough again. 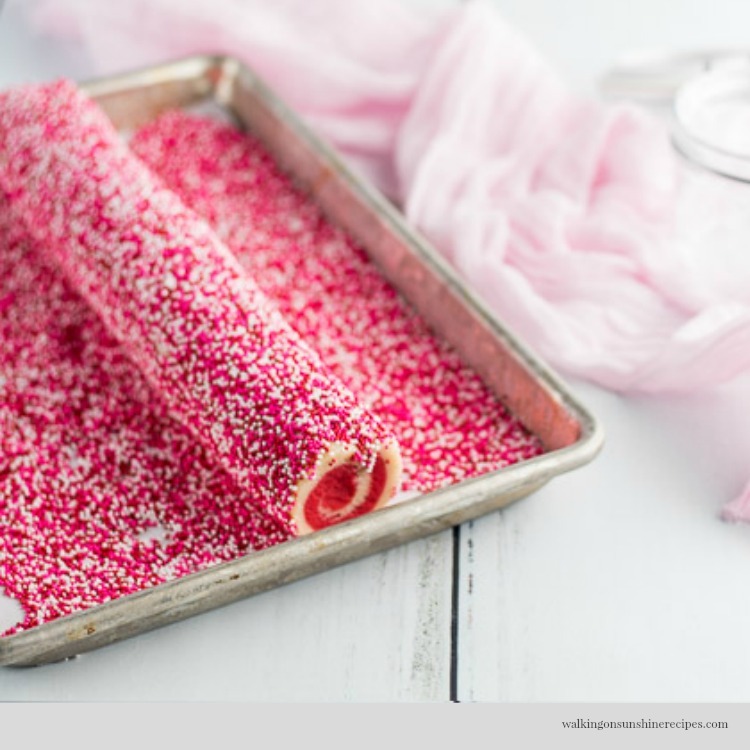 Once it’s ready, begin rolling the long side of dough up jelly-roll style. 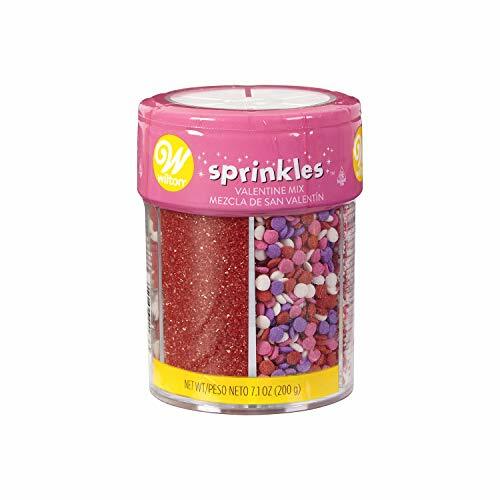 Pour out sprinkles onto a large platter and set aside. Now gently lift the dough log onto the sprinkles and roll away. Wrap in plastic wrap and chill for a few hours or you can freeze the dough for up to three months at this point. 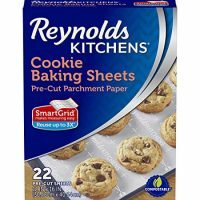 Slice your dough into 1/4 inch slices and bake on parchment lined baking sheets in a preheated 350 degree oven for 15 to 17 minutes or until the edges are starting to turn golden brown. Let the cookies rest on the baking sheet for about 5 minutes. Then move them to a cookie rack to finish cooling. 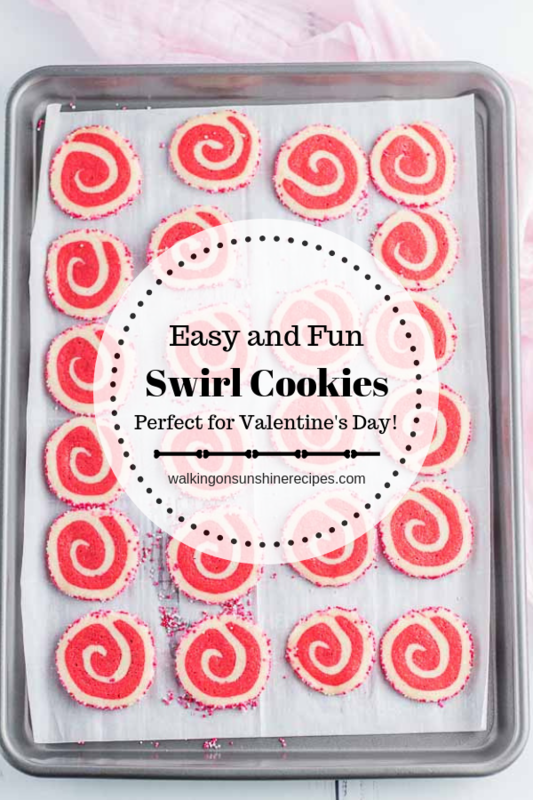 Valentine's Day Swirl Cookies are as delicious as they are beautiful! They're not complicated at all to make and you can easily change the color to coordinate with an special occasion you're celebrating! 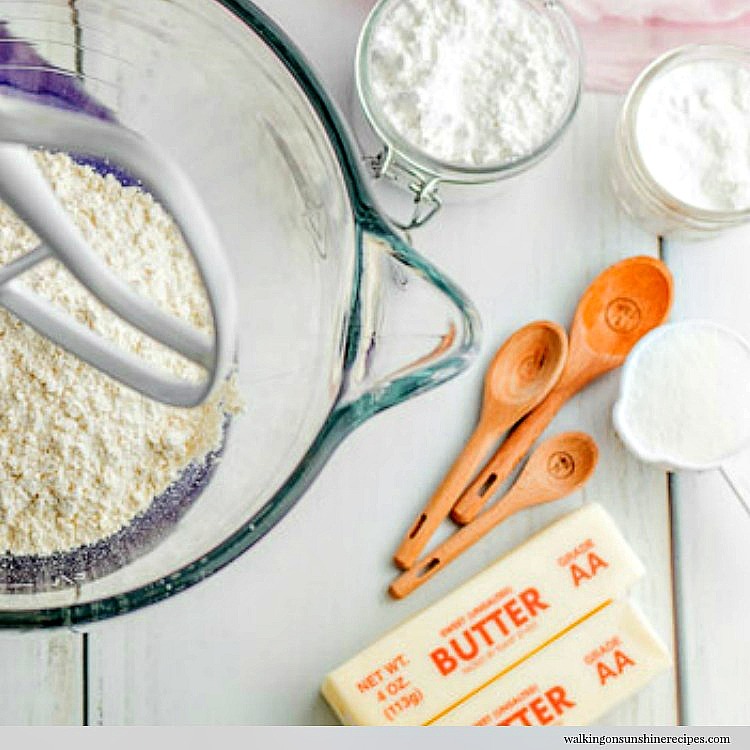 In the bowl of a stand mixer, combine flour, baking powder, salt, and sugars with paddle on medium until well blended. Add butter in, gradually, and continue mixing. Add in vanilla extract. Continue mixing until the dough forms a ball. Remove all your dough and divide into two equal parts. Return one portion back in to the mixer and add the food coloring and any extra extracts. Mix until the color is spread out evenly. Roll out each portions of your dough, between two sheets a wax paper until it reaches about 11 x 9 inches and is 1/4 inch thick. Slide both unto a cookie sheet and chill in the refrigerator for at least 1 hour. When firm, remove the top sheets of wax paper from both. 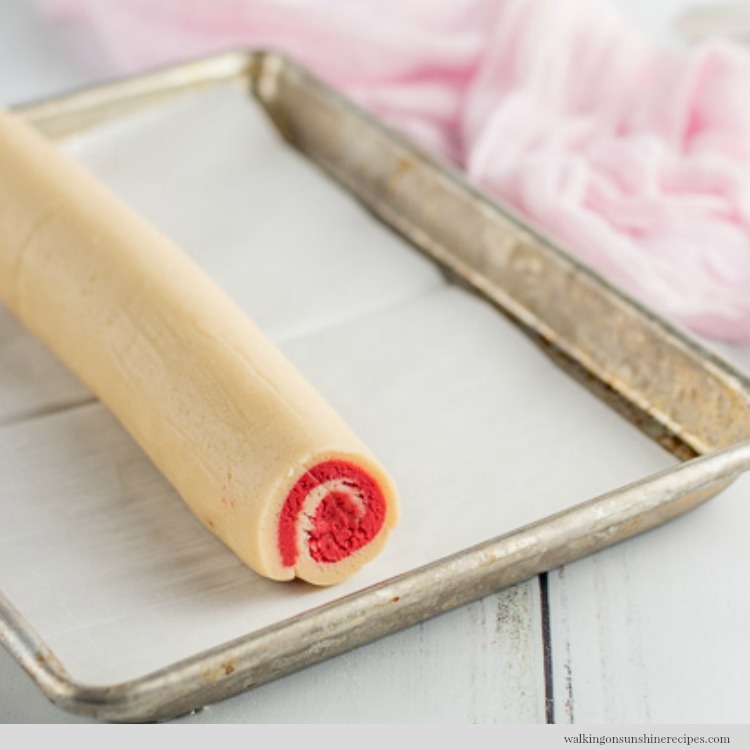 Brush the uncolored vanilla dough lightly with water using a pastry brush. Then flip the colored dough onto the vanilla uncolored dough so they are stacked atop each other and even. Press the edges lightly with your fingertips to seal them together. Using a small knife, trim the edges of the dough to make straight, even lines. 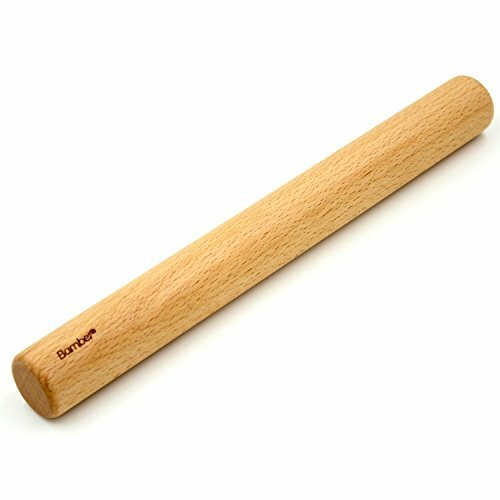 Be sure your dough is still cold, but flexible. 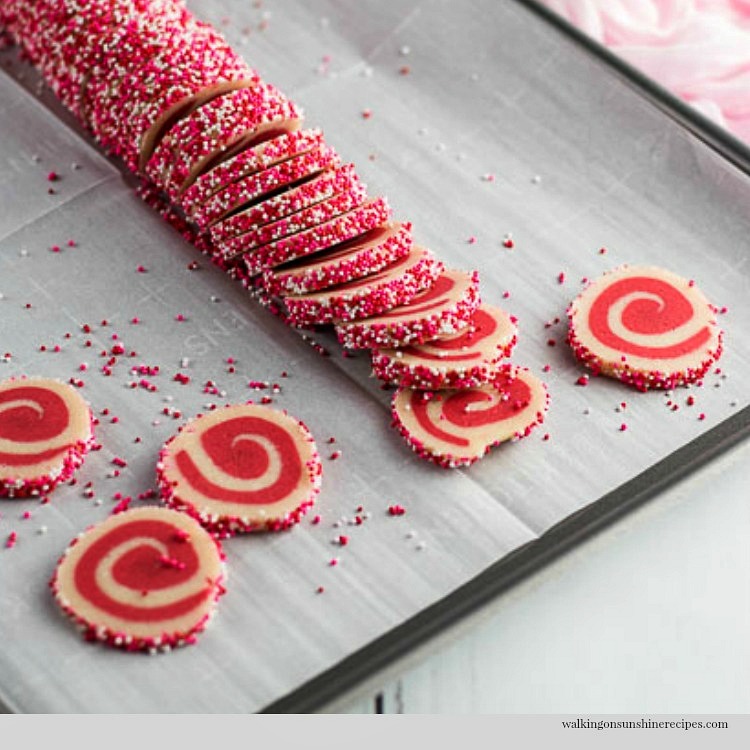 Once it’s ready, begin rolling the long side of dough into a swirl, jelly-roll style. 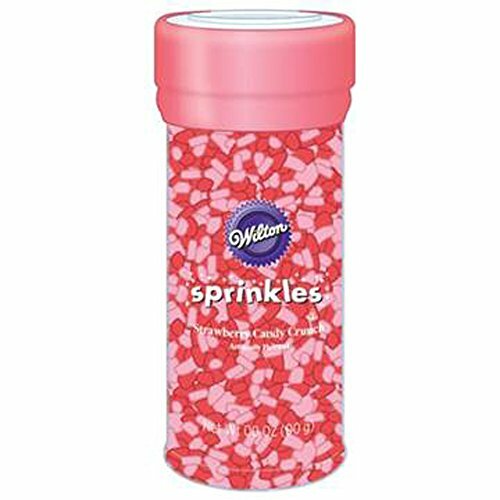 Pour out sprinkles onto a large platter and set aside. 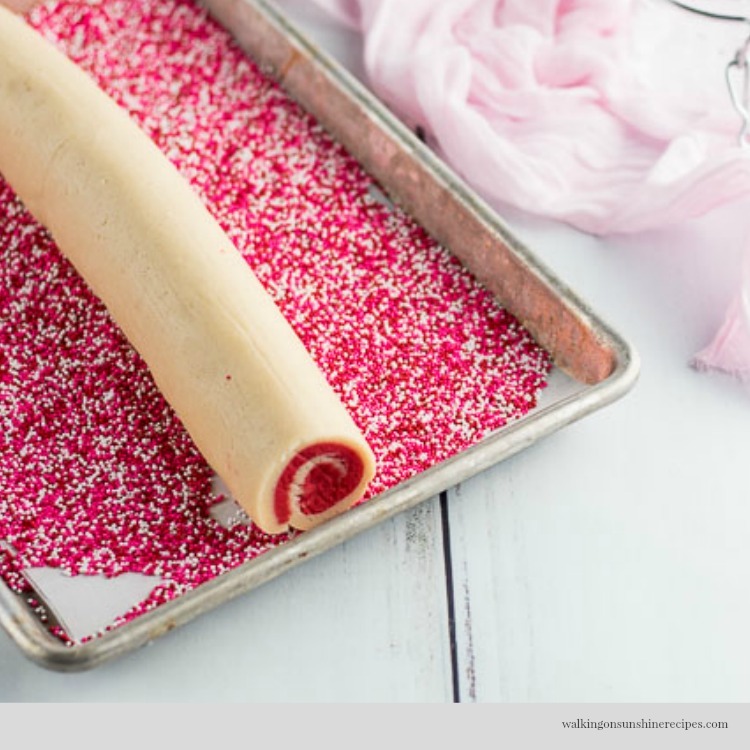 Now gently lift your dough log onto the sprinkles and roll away. Wrap in plastic wrap and chill for a few hours or you can freeze the dough for up to three months at this point. Let the cookies rest on the baking sheet for about 5 minutes, then move them to a cookie rack to finish cooling. The recipe calls for 2 cups of flour plus a few more tablespoons. What exactly does that mean? If you see the dough is too "wet" after you add the food coloring, add another tablespoon of the flour. Sometimes adding food coloring to cookie dough will make the dough too wet and difficult to roll out, so you add extra flour about a tablespoon at a time to help! These would be SO MUCH FUN to make with kids! And I love that the dough is forgiving if you get a little too crazy with the food coloring. I could just see packing these into some “Chinese” take-out cartons all decorated up with Valentine’s Day stickers. 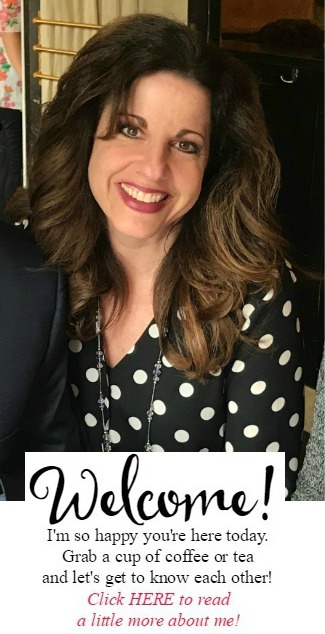 Thank you Michelle! I love the idea of the take out cartons. Cute!! !